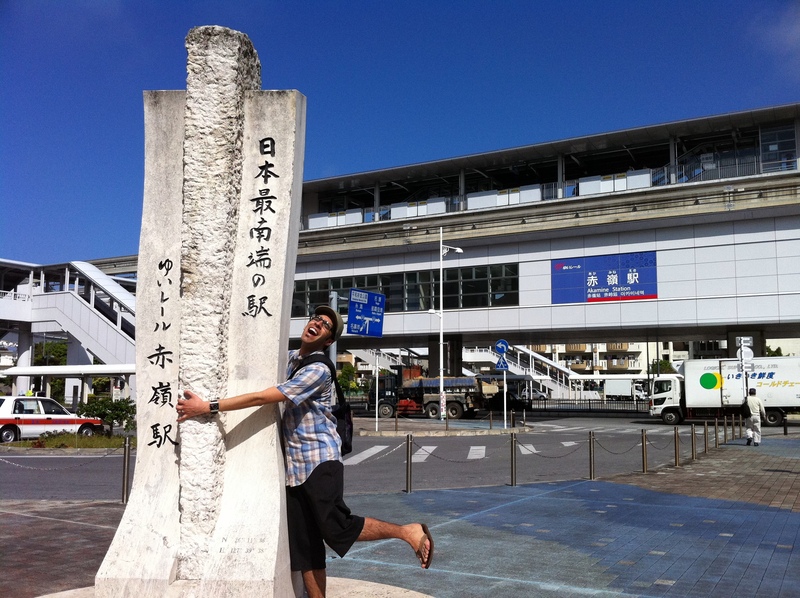 Ahh, Okinawa. Famous for it’s great weather, warm beaches, and delicious local fruits. Unfortunately, we didn’t get to try any of it, haha. It rained most of the time we were there, the sea was too cold to swim in, and we didn’t have enough time to do a bunch of sightseeing. That’s what happens when you go to Okinawa in the winter, for just 3 and a half days. Lesson learned. None the less, we still had a great time! 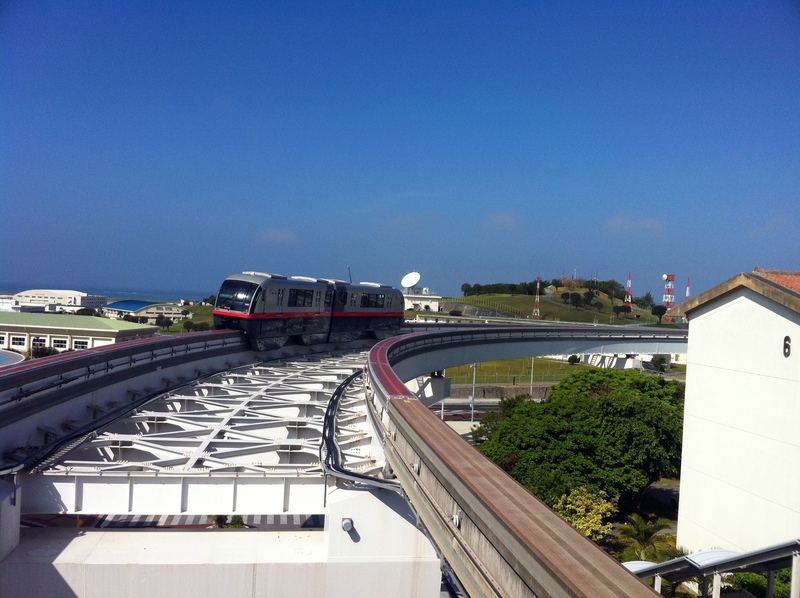 Especially since we got to ride the Okinawa Monorail!! From Niigata, it’s a 2 hour trip to Tokyo Station, and then an easy transfer to the Tokyo Monorail, which ends at Haneda International Airport. Usually when I travel overseas, I leave out of Narita Airport, which isn’t the easiest (nor the quickest) place to be flying in and out of. So, it being my first time to Haneda, found myself surprised to see how easy it was to get to Haneda. 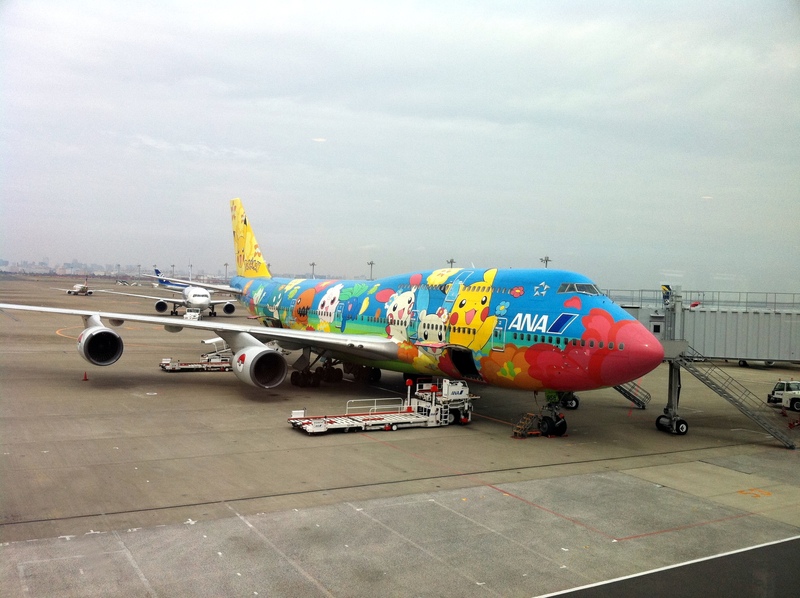 i thought i was gonna ride the pokemon plane, until i realized i was at the wrong gate. 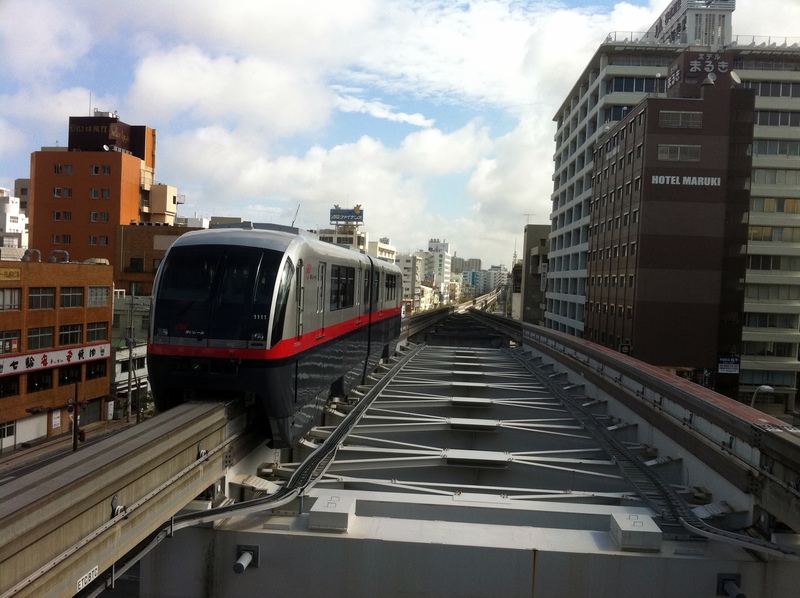 The Okinawa City Monorail Line, or Yui Rail, is a fairly new monorail system. Opened in 2003, it runs from Naha International Airport to Shuri (near the famous Shuri Castle), travelling a distance of just 12.8km. Not a great distance by any means, but most monorail lines don’t run that far anyways. It’s worth noting that the world’s longest monorail line, the Osaka Monorail, comes in at just 21.2km. Despite it being a short ride from beginning to end, I had another reason why I wanted to ride the Yui Rail. 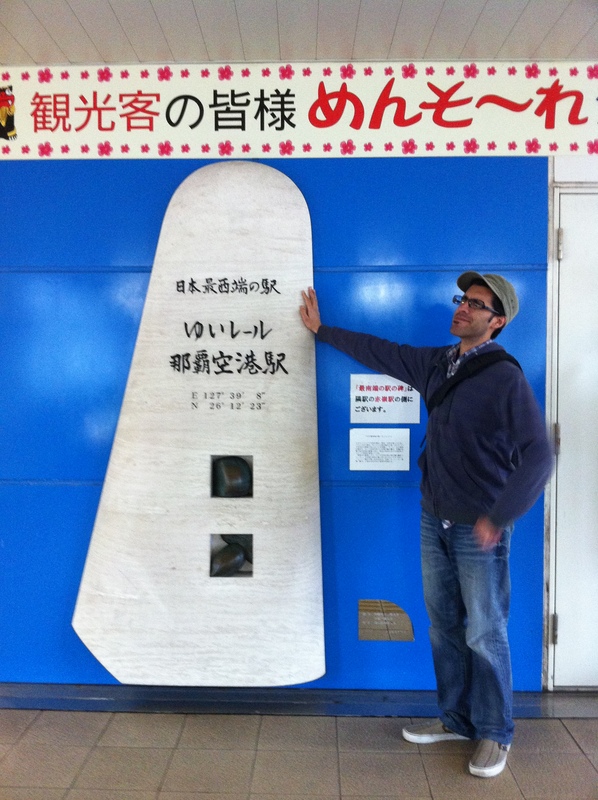 In March 2009, I started on a journey to visit the southernmost, northernmost, easternmost, and westernmost JR stations in Japan. 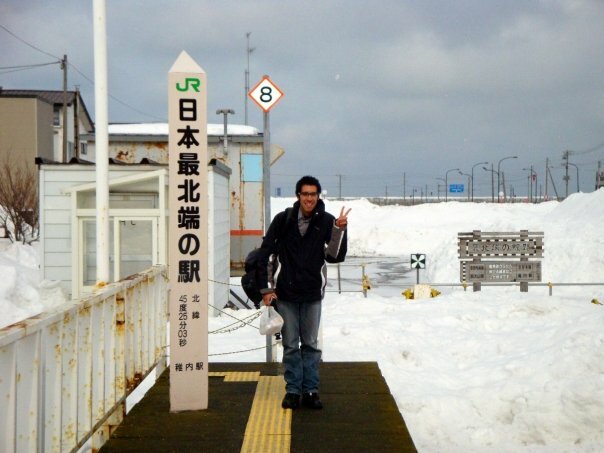 After a 30 hour trip from Niigata to Wakkanai City, Hokkaido, the first portion of this journey was acheived on March 10th, 2009. Probably not a good idea to go in the middle of winter, as it was hovering around -10 Celcius that day. However, mission accomplished. Which brings us to Okinawa. Akamine Station is considered to be the southernmost station in Japan. A few minutes later, I reached my destination. The southernmost station in Japan. But it doesn’t end there. Why? Because the WESTERNmost station in Japan was just ONE STATION AWAY! On our last day in Okinawa, we used the Monorail to get back to the airport, so hitting goal number three wasn’t too difficult to do. three down, one to go...right? “But could it really be this easy? !” I thought to myself after taking this picture. The southernmost and westernmost stations taken care of in just one trip?! Remember, the goal was to visit JR stations. Although visiting the above stations was quite the achievement and a good experience, it doesn’t count. So, why JR? 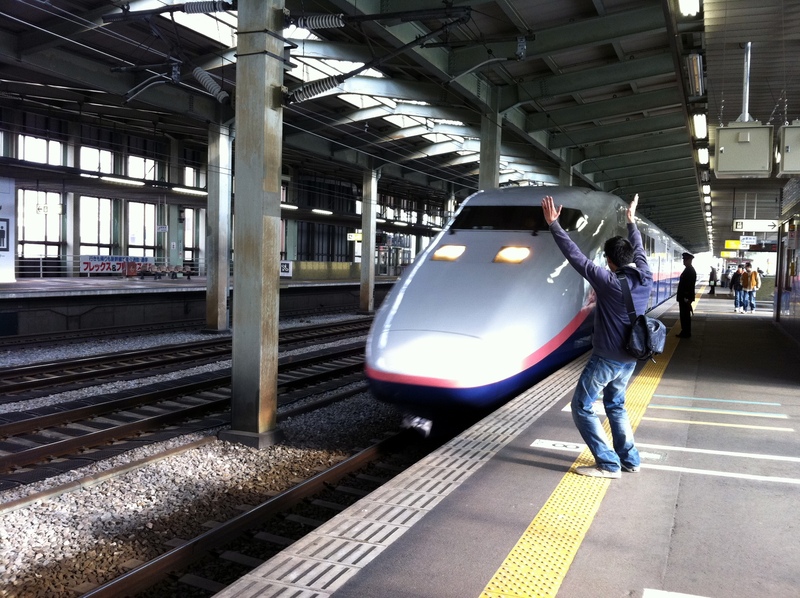 Well, to me, Japan Railways, is the flagship of the Japanese Railway System. I find it’s history fascinating, and I appreciate their pursuit to excellence, punctuality, and comfort. This doesn’t mean that I don’t appreciate the other 16 major private railway companies, and the countless local and municipal rail lines scattered throughout the country. They all bring something unique to the travel experience and I’ll never turn down a good train ride, no matter who operates it. I figure, if I’m going to set a goal, might as well start with the biggest. Which brings me back to another question: Where are these 4 stations I’m in pursuit of? So, I’m back at one, but that’s ok! It only means that I have a bit more traveling to do, and a few more blogs to write. A win-win for everyone. Speaking of traveling, tomorrow marks the start of the Golden Week holidays!! A time of year where many national holidays are bunched together allowing most people to have a week or so off. Mine begins tomorrow and will continue till next Wednesday. Tomorrow’s destination: Kyoto. However, I won’t be going by train unfortunately. Since getting a Japanese driver’s license, I’ve simply found it cheaper to be getting round by car. But can this mean the start of a new feature on the blog? Quite possibly! We’ll have to just wait and see. Finally, a trip to Okinawa wouldn’t be complete without going to Okinawa Churaumi Aquarium. 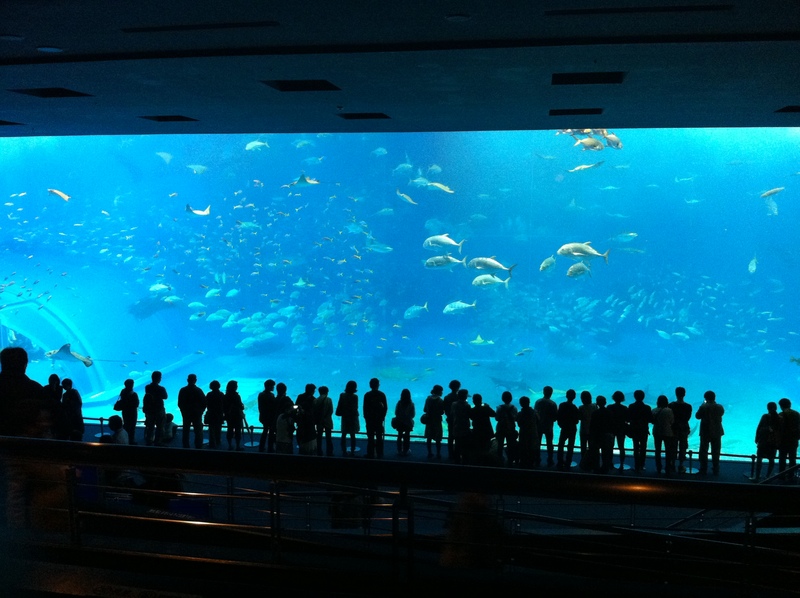 Located towards the northwestern side of the main island, it’s one of the most famous aquariums in Japan. It’s one of the few aquariums in the world which have whale sharks in captivity, but that’s not even the main attraction! The biggest draw to this aquarium is their main tank, where you can see, well…I’ll let you find out on your own by watching the video I took below. Enjoy, and until then, see you next time!